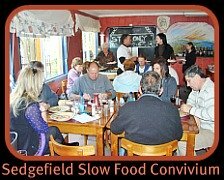 Sedgefield Slow Food Convivium held their Winter Warmer Workshop in the last week of April at Die Gieter on the Phantom Pass Road outside Knysna. 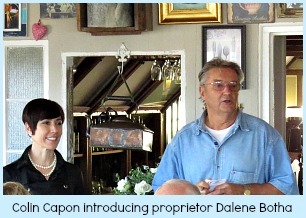 The Winter Warmer Workshop kicked off with Chef Colin introducing Die Gieter's proprietor, Dalene Botha who told us that the derelict hotel and restaurant, previously known as Madibas Tide River Manor, had been closed four years and left to deteriorate when her and her husband saw an opportunity and bought it in October 2011. 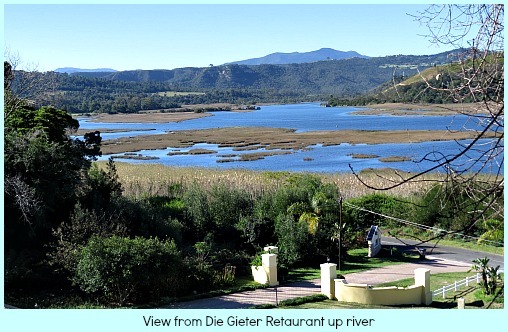 They started with the restaurant, revamped the basics and opened it as Die Gieter (the Watering Can)a month later, in November of the same year. 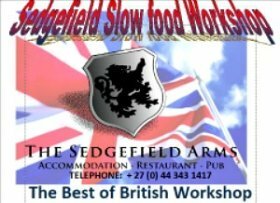 They pride themselves on Slow Food that involves sourcing the best local ingredients and cooking dishes from scratch including their own breads and sauces. 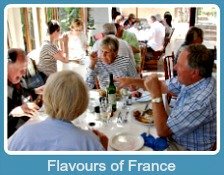 To support their guests who stay in the lodge and local visitors, they are open all day for breakfasts, lunches and dinners. 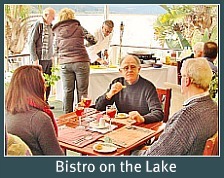 The lodge and restaurant are magnificently situated just off the busy N2 into Knysna on the Phanton Pass Road with panoramic views of the Knysna Lagoon. 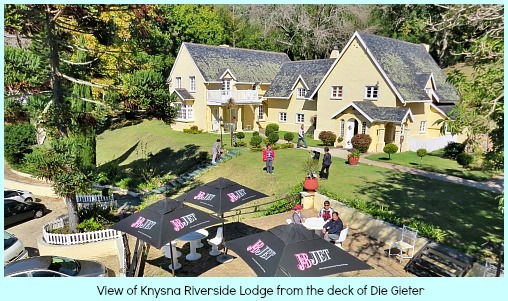 Called Knysna Riverside Lodge, it is still in the process of being lovingly restored and carefully upgraded. There are 13 individualised guest suites available. 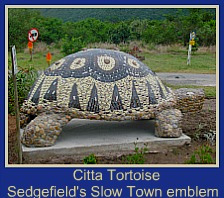 25 hectares of private forest provide visitors with walking trails, bird watching opportunities and picnic facilities. There’s a dam, a private pool and a large family pool overlooking the river. 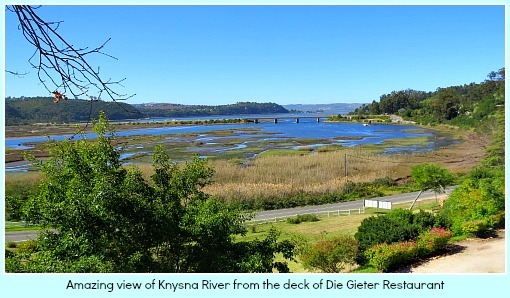 Whilst being in peaceful and beautiful rural surroundings, visitors are only a stone's throw from the amenities of lovely Knysna town. 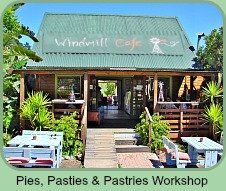 Beside this, the area is jam-packed with every conceivable outdoor activity so there is plenty to do and enjoy in this wonderland Garden of Eden that is called the Garden Route! 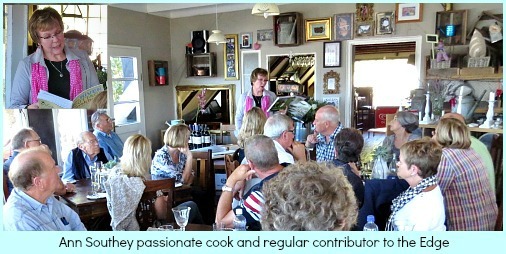 After Dalene had briefly told us their story, Ann Southey, passionate cook and regular contributor to our local iconic community newspaper, the Edge, spoke to the Winter Warmer Workshop of her love for food and the pleasure she gets from experimenting and trying out new recipes. She read us a few excerpts from a couple of her many cookbooks one being “The River Cottage Cookbook” by Hugh Fearnley. 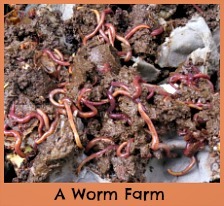 Ann says she likes to have a recipe to follow although she may tweek it. 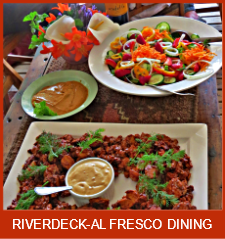 “We are fortunate,” she says “to live in an area where we are spoilt for choice as there is a large basket of fresh ingredients like fish, oysters, honey, ostrich, beef, lamb, chicken and a vast array of locally grown greens of high quality, available to us." 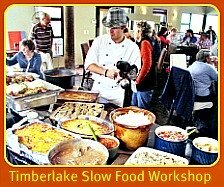 From “The Cake the Buddha Ate” by Daniel Jardim she related that Slow Food is ‘quiet food” cooked mindfully, with attention to detail, slowly and lovingly, thoughtfully presented, a gift of nourishment to our bodies, a celebration that bonds us with others when we share it with them. 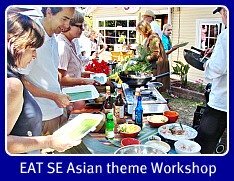 She commented on the attention to detail observed by the simple eastern tradition of presenting tea. In the Chinese tea ceremony delicately crafted utensils are used and are part of the mindful practice. 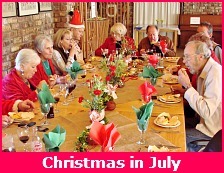 Each person may have his own version of the timeless thoughtful tea ritual. 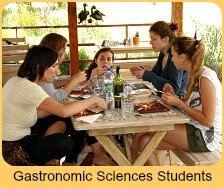 We, in our fast moving western world could only benefit by slowing down to appreciate simple tasks and giving reverence to all aspects of the food processes that put it on our tables. Then it was the turn of Jenny Stephenson, the Sales Manager of Morgenhof Wines to take the Winter Warmer Workshop through a wine tasting of three of the vineyards favoured wines, a smooth, wood-matured Chenin Blanc, a complex plummy 2009 Merlo and their highly recommended Cabernet Savignon. 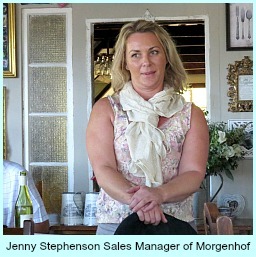 Having worked her way up through the ranks over a number of years, Jenny is familiar with all the processes and wines of Morgenhof. Dating back to 1692, she told us that Morgenhof is one of the oldest South African vineyards. However it was Anne Cantreau from France, with a prestigious family background in cognac and liquers who bought up three separate farms in 1993 to restore the estate to its original form. 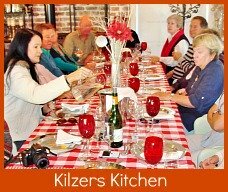 Jenny advised that the vines grow slowly on the steep mountain slopes outside Stellenbosch because they are not irrigated. The grapes are hand-picked and a unique octagonal underground cellar, (one of only 5 in the world) allows the wood barreled grape-juice to mature slowly to highly sort after, fine drinkable wines. These days they are exported to 33 different countries. 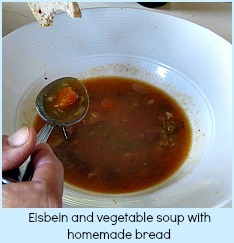 Our Winter Warmer Workshop lunch began with an Eisbein and vegetable soup. This was followed by main course which included Die Gieter’s signature dish of de-boned oxtail on toasted polenta and Chef Colin’s slow cooked brisket. 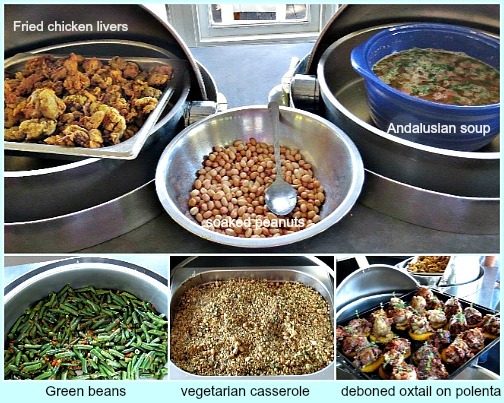 This was accompanied by crumbed chicken livers, vegetable casserole, soaked peanuts, green beans, and Andalusian soup - all very tasty and satisfying. 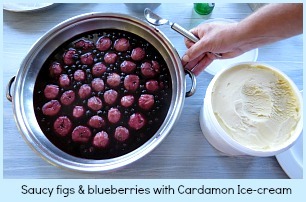 The “piece de resistance” to conclude the meal was Peter Vada’s Fig and blueberry dessert with cardamon ice-cream.! All in all, a delicious lunch in an awesome setting. Our thanks to Colin and Auriel who put so much effort into arranging our venues and the programme for the day. 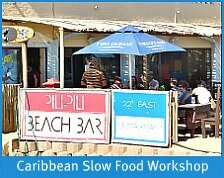 Many thanks also go to our hosts, Hannes and Dalene for offering Die Gieter to the Slow Food Convivium. Last but not least, thanks to all who contributed and attended.